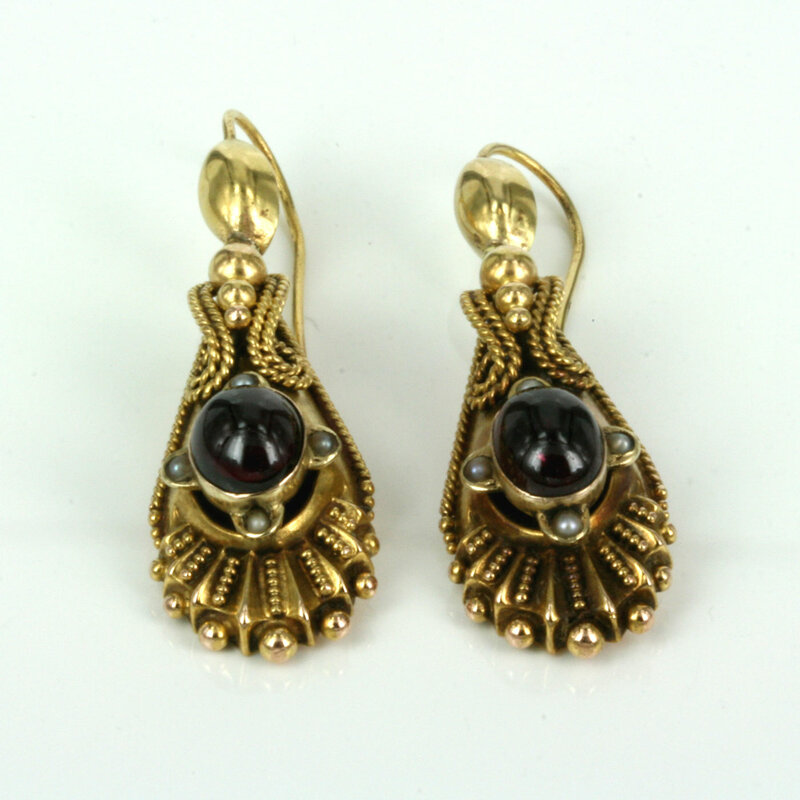 Antique garnet and pearl Victorian earrings. 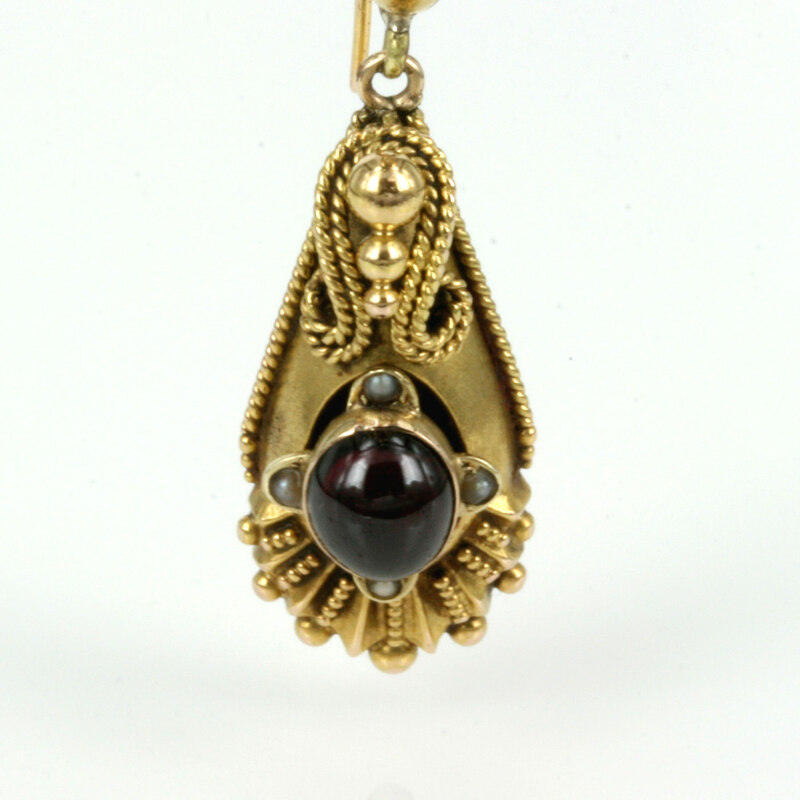 Product code: ES3162 Categories: Sold Items, Sold earrings. 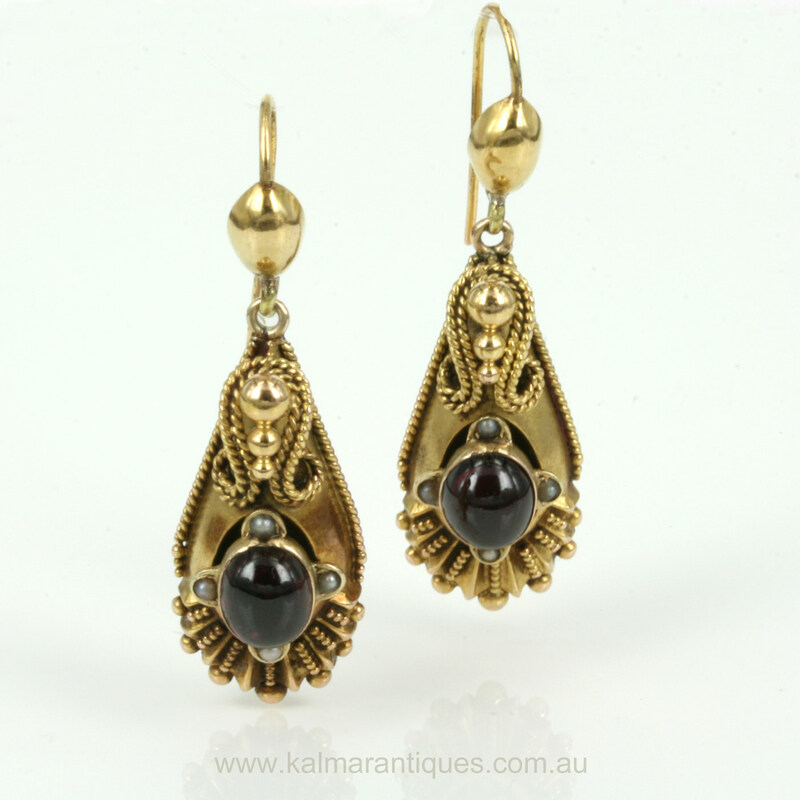 Queen Victoria reigned from 1837 to 1901 and in this time influenced the fashion and style of high society greatly and as she ruled for such a long period the style of Victorian jewellery is often quite varied and here we have a magnificent pair of antique Victorian era garnet and pearl drop earrings. Dating from the 1870’s, these antique earrings were made in 15ct gold – a carat of gold that was only used from 1854 to 1931 making this itself quite unique and special, and the colour of gold has achieved that wonderful patina that only a true antique can get. 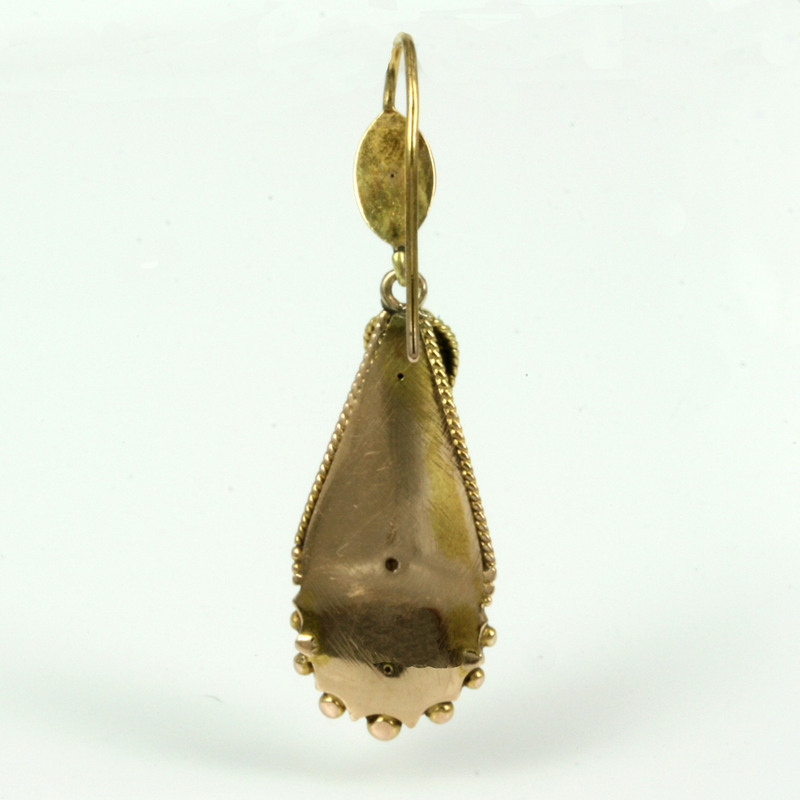 The earrings measure 4cm in length from where the shepherd hook connects to the top round half ball or 3cm from the top of the main earring to the bottom and 1.3cm wide at its widest point in the centre. With such an elegant length, these antique earrings are just perfect to stand out and make the wearer feel so regal and elegant. Each earring is set with a cabochon cut garnet surrounded by 4 pearls, and typical of antique earrings of this time, the work and detail in each earring is magnificent. With a lovely rope twist design combined with round gold balls as well as the wonderful length, all go to make these a fantastic example and pair of Victorian era antique earrings that will always be treasured and admired.